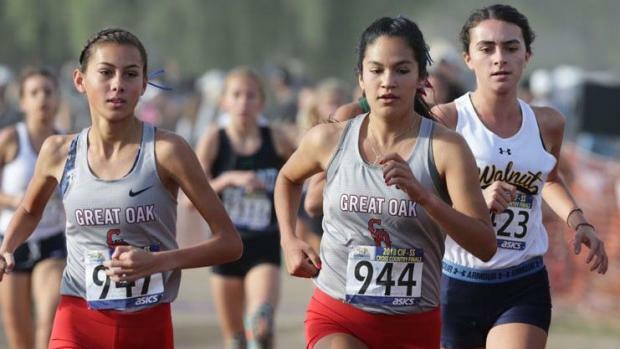 Starting with Division I where the largest schools reside, Great Oak's girls ran away to an unprecedented seventh straight title and their ninth in 10 seasons! Led by Tori Gaitan's individual title, she finished just ahead of 2017 winner and teammate, Fatima Cortes. With league foe Vista Murrieta taking the runner-up spot, the Southwestern League was, by far, the most competitive league in California! 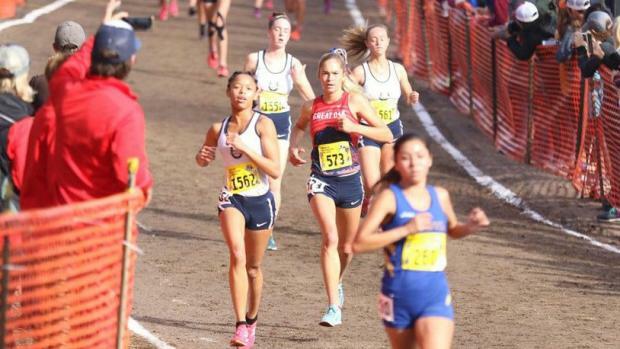 Freshman Devyn Candaele stepped in to lead the Broncos while almost pulling off a major upset at the California State Meet where both squads finished in the same places, albeit with a much tighter gap. VM was able to outlast GO at NXN, as both finished seventh and eighth, respectively. Also advancing to the State Meet were Mira Costa, Fountain Valley, West Ranch, Walnut and Ayala. With the section claiming the top four spots, Mira Costa ascended to the podium with its third-place finish while Walnut ran its best race of the season in taking fourth at the State Meet. Before moving up to compete at UC Davis with sister, Emma, Chloe Arriaga closed out one of the best careers in section history with two individual titles and two runner-up finishes with all in Division I. Chino Hills' sophomore Jacqueline Duarte qualified for her second State Meet while one of the biggest surprises of November was freshman, Riley Rodriguez of Upland. Projected to finish outside the top 25, she qualified for the State Meet. San Clemente's Hana Catsimanes proved that she is not 'just a miler' with a phenomenal season that saw her qualify for the Foot Locker Nationals.